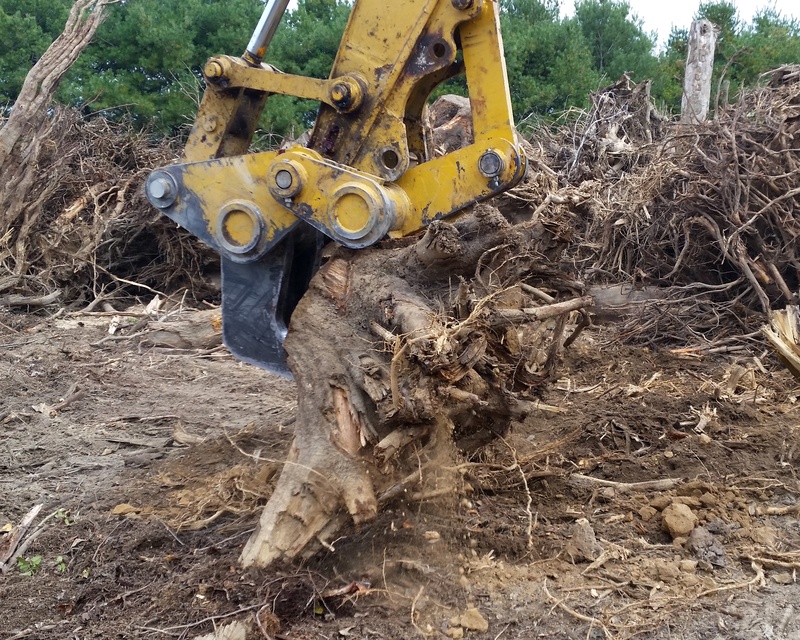 Tear through large stumps and logs on your excavator. 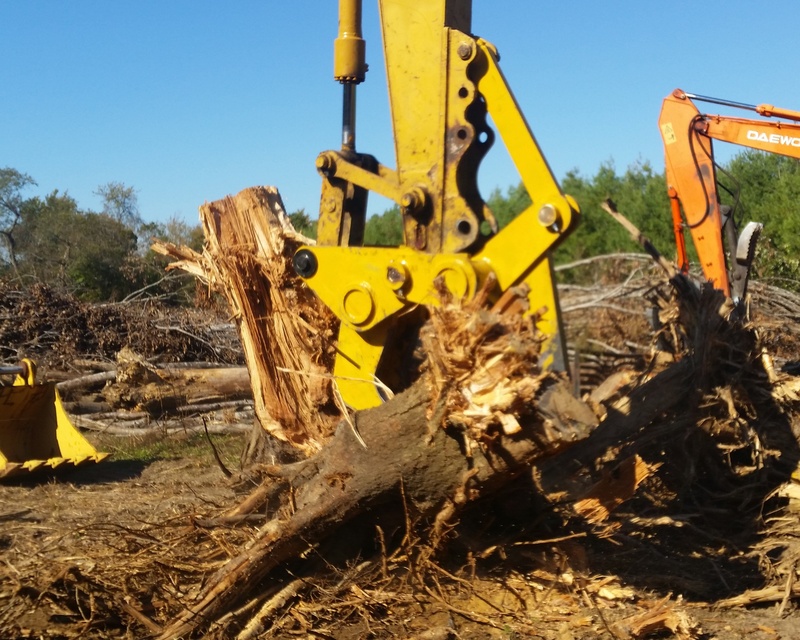 Built in the US, built to last. 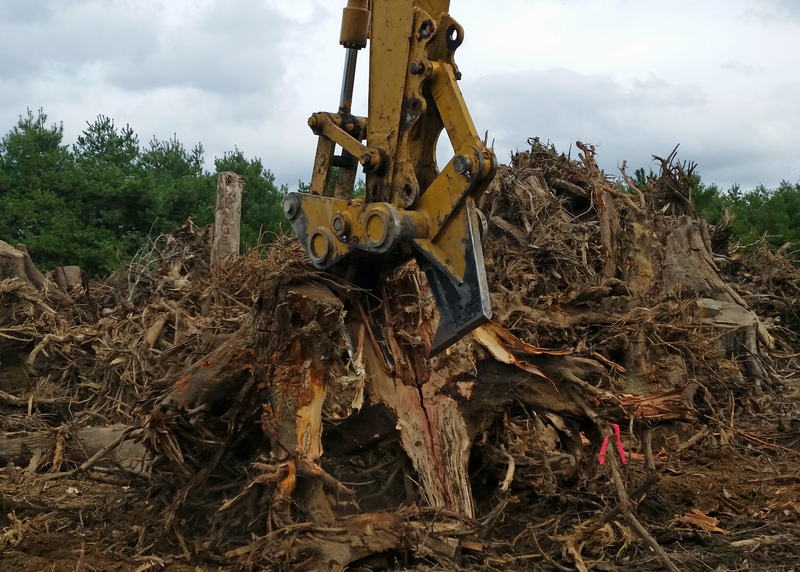 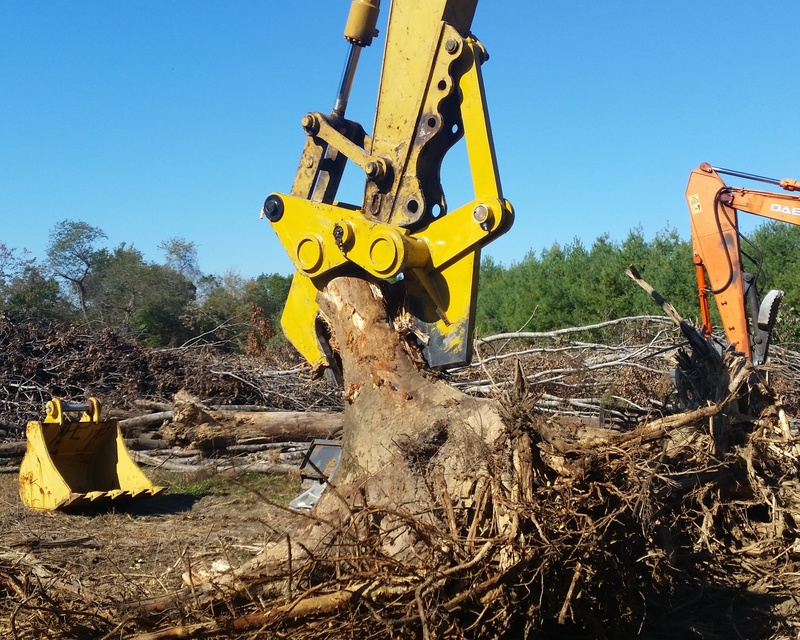 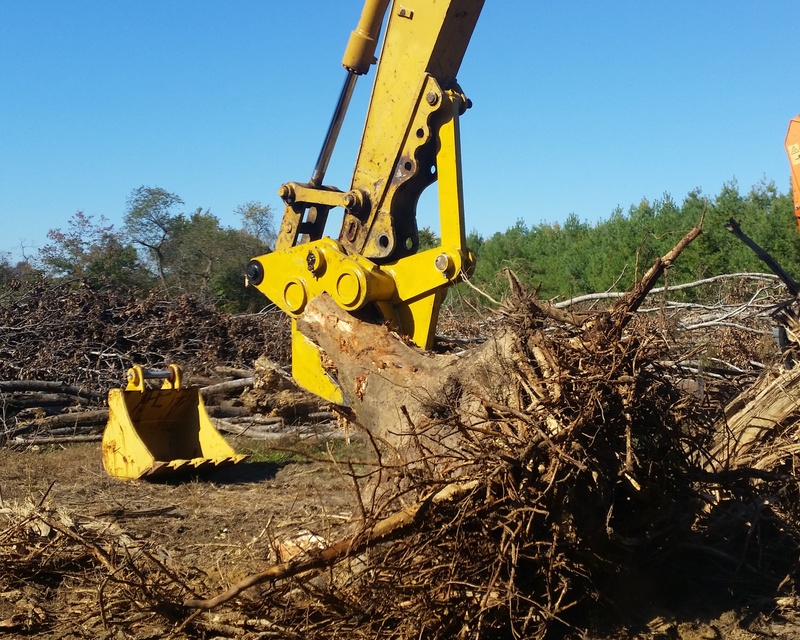 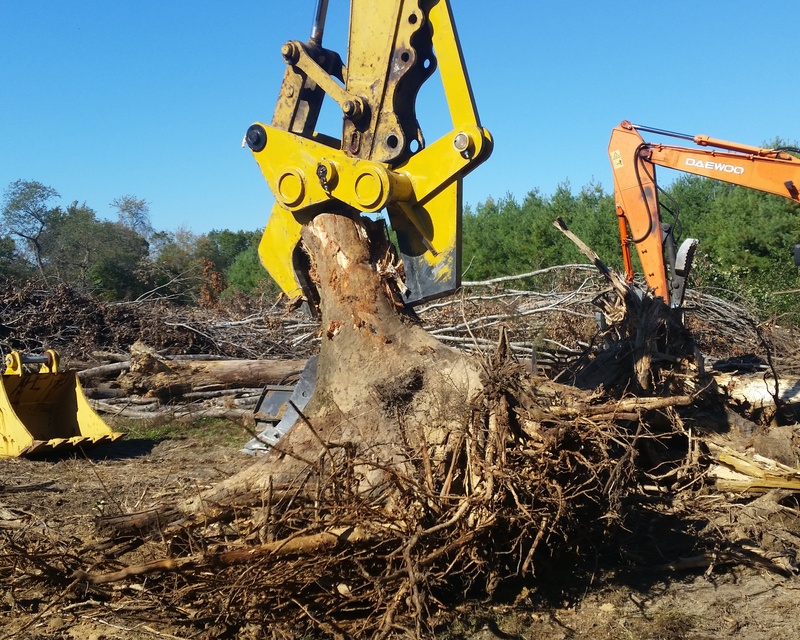 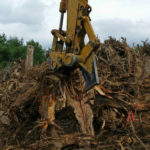 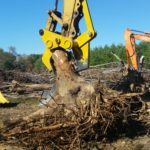 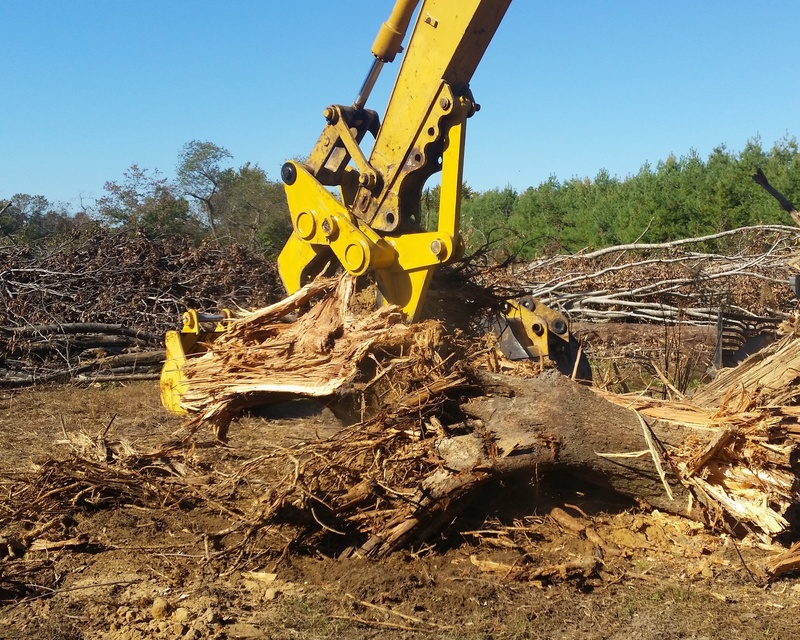 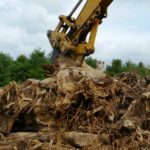 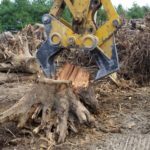 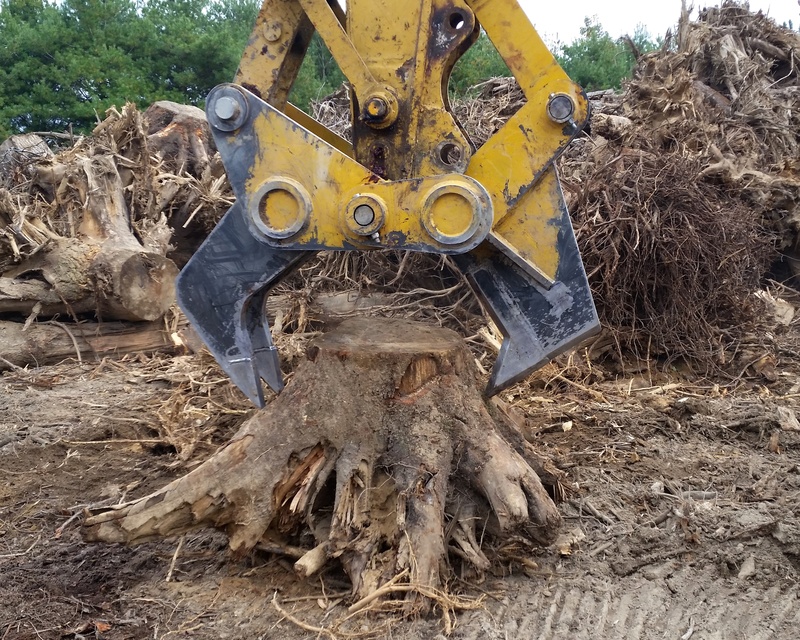 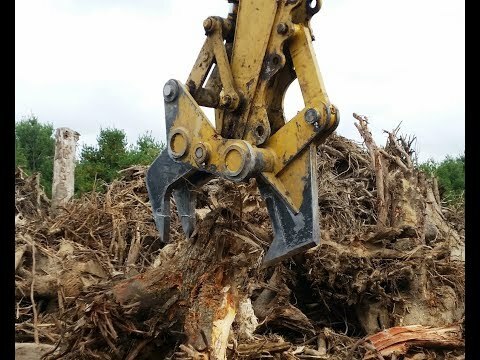 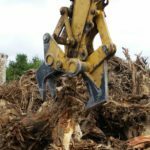 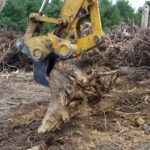 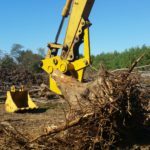 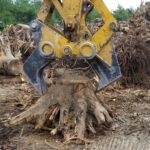 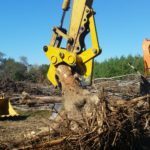 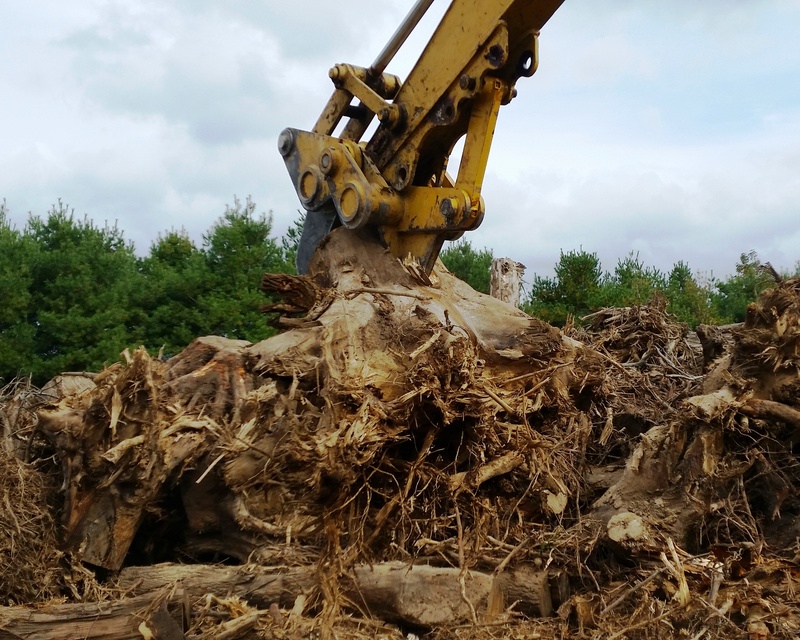 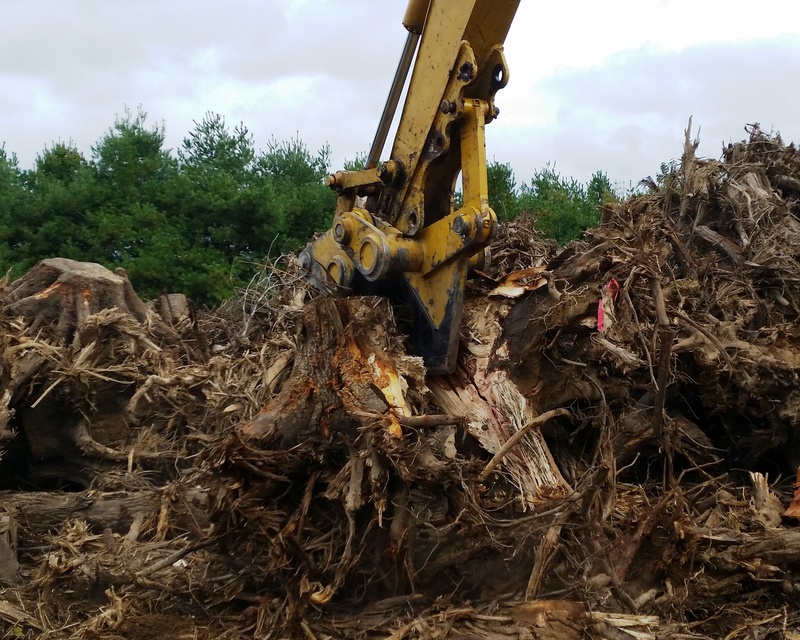 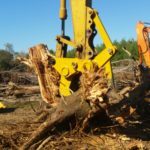 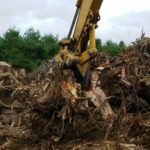 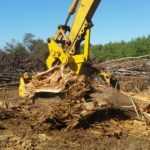 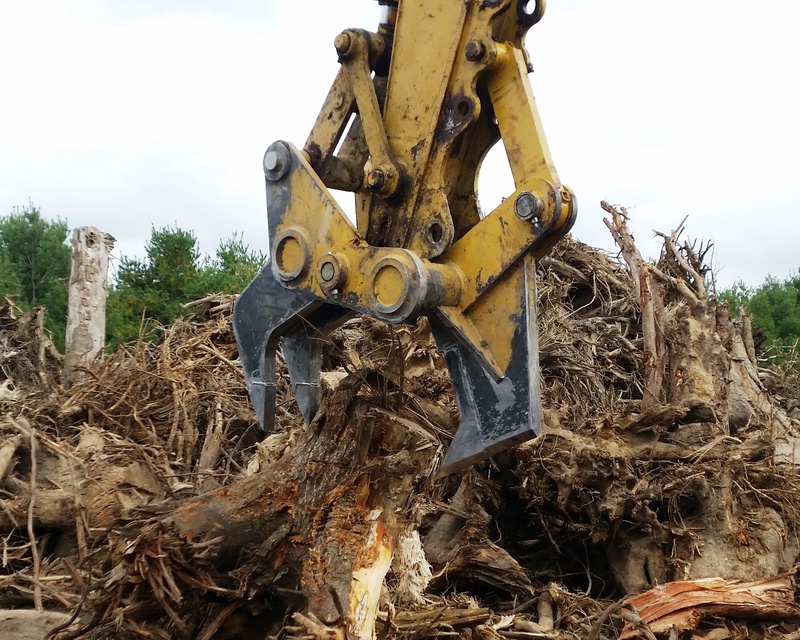 You will save tons of time and money by harvesting, processing/downsizing stumps and logs saving unnecessary wear and tear on tub grinders and making much fewer trips to haul this debris away. 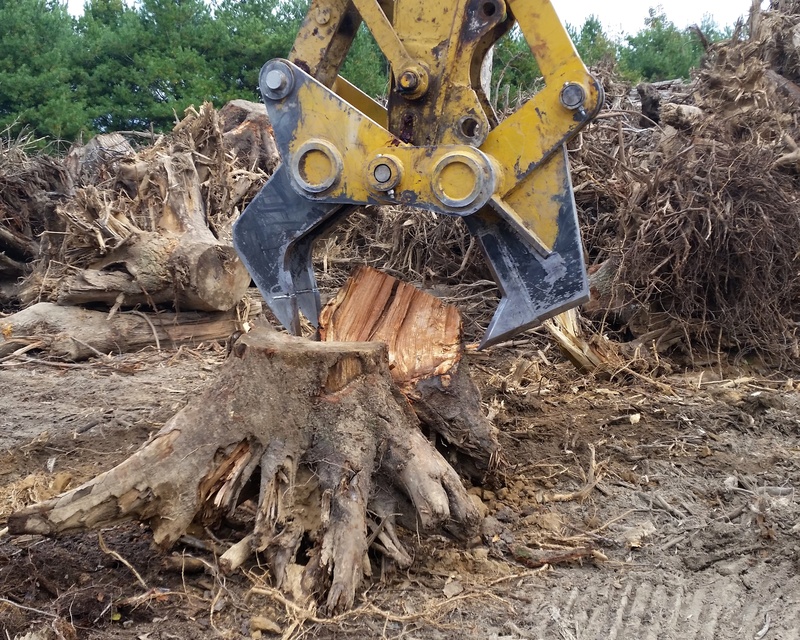 The RSH Series is designed to pull stumps out of the ground and split in one complete cycle. 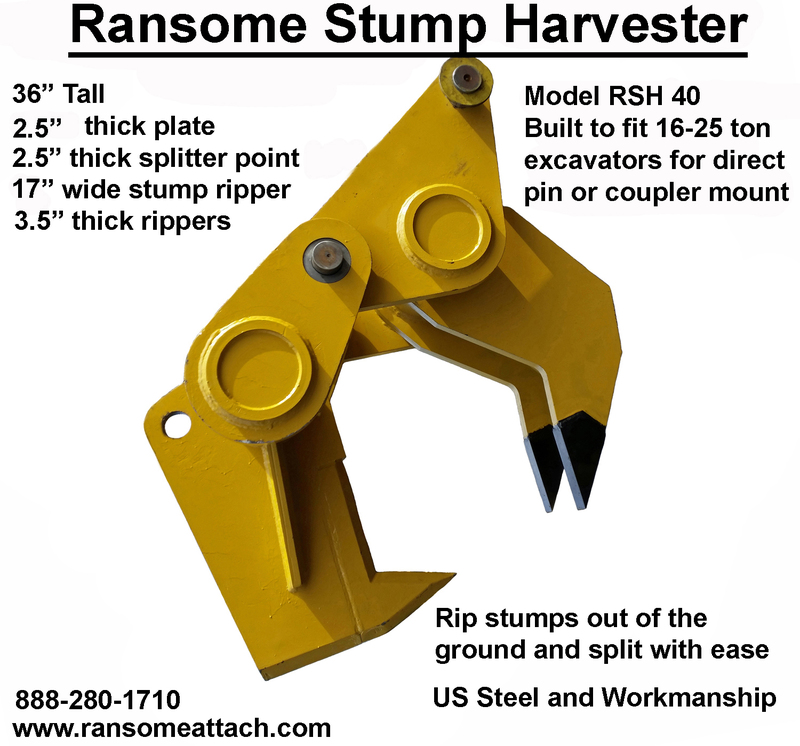 Once the stumps are split, use the Ransome Stump Harvester to load into tub grinder or container. 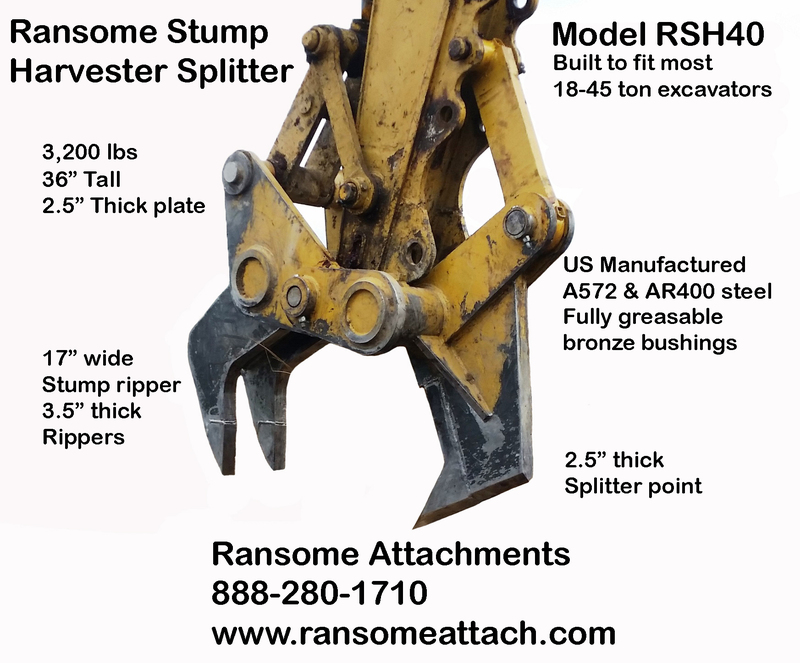 With this tool, you will not need to have a larger, more expensive tub grinder. 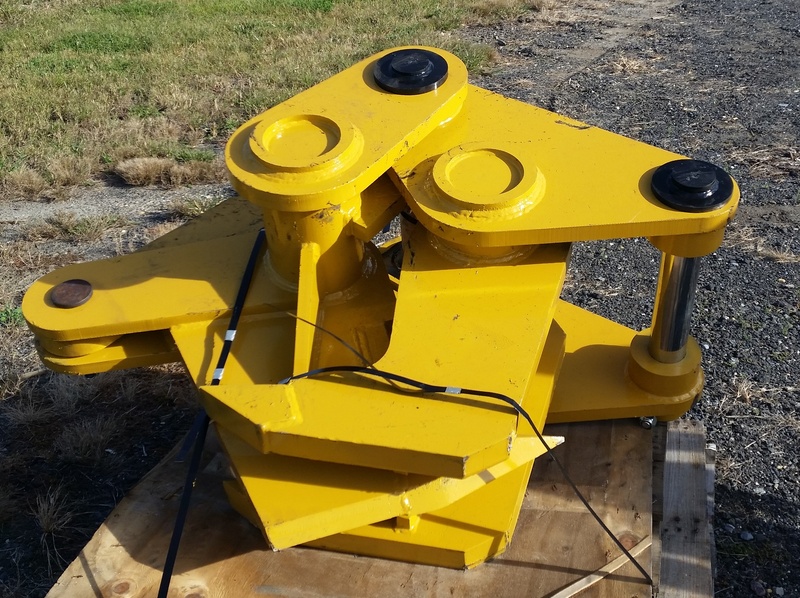 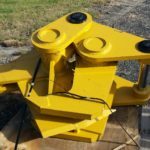 Each unit is custom built to suit your needs and includes pins, stiff arm, weld-on plate and a full manufactures warranty covering material defect and workmanship for up to 12 months. 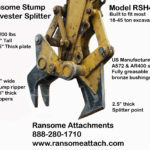 Note: Use with a coupler will reduce the splitting force and creates a lot of wear and tear on the coupler so not recommended.